Record Setting Night in a Crazy Game Between the Caps and Lightning - The Point Data-driven hockey storytelling that gets right to the point. 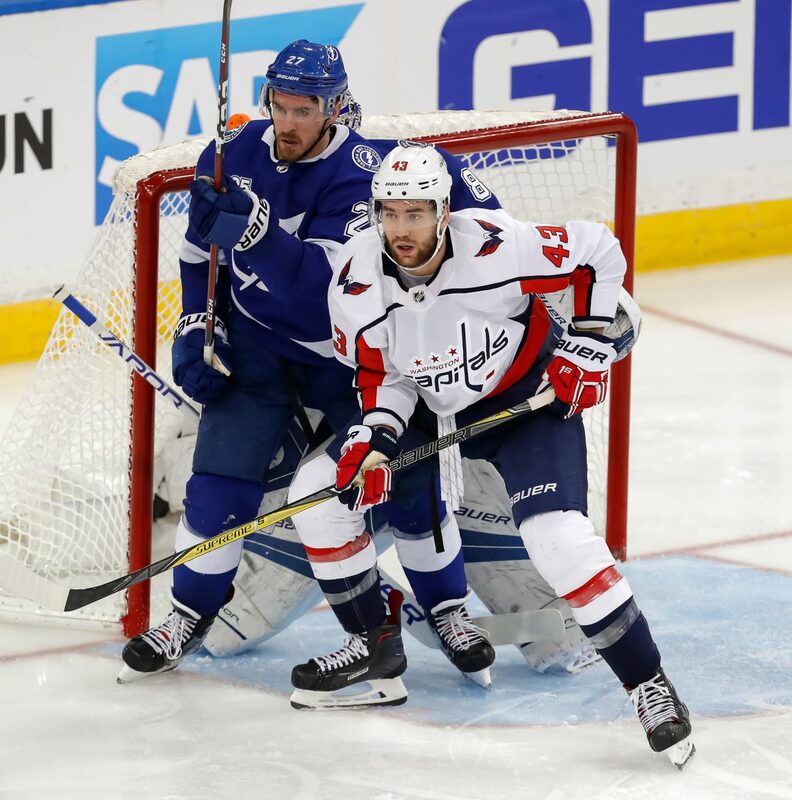 provided a ton of entertainment with Victor Hedman sealing it for Tampa in overtime with a nice move on Brayden Holtby, burying it on his backhand. Last night’s game was crazy with some even crazier numbers and possibly the highlight reel goal of the season. The Capitals set a franchise record with 58 shots on net, led by Alex Ovechkin with a season-high 11 shots and a season-high for offensive zone possession. 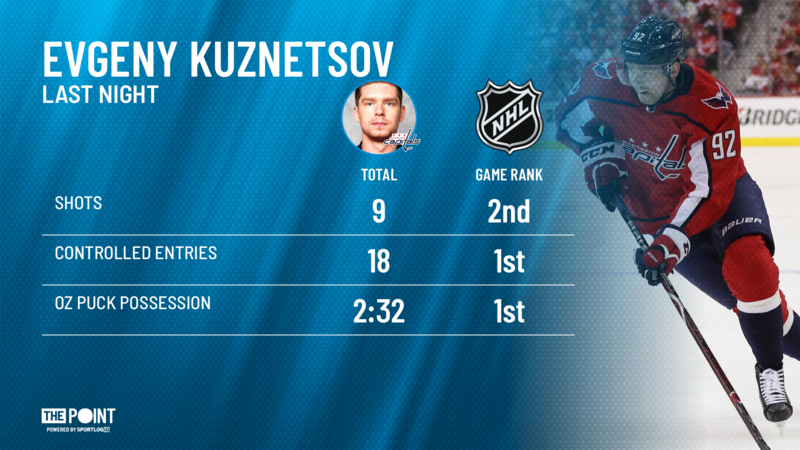 It wasn’t only him though, Evgeny Kuznetsov had season-highs in shots, offensive zone possession, and controlled entries. 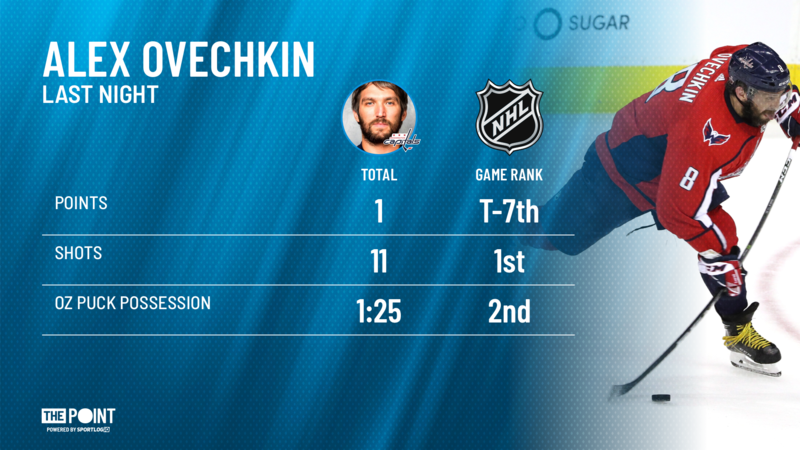 He was driving the play and creating scoring chances all over the offensive zone. 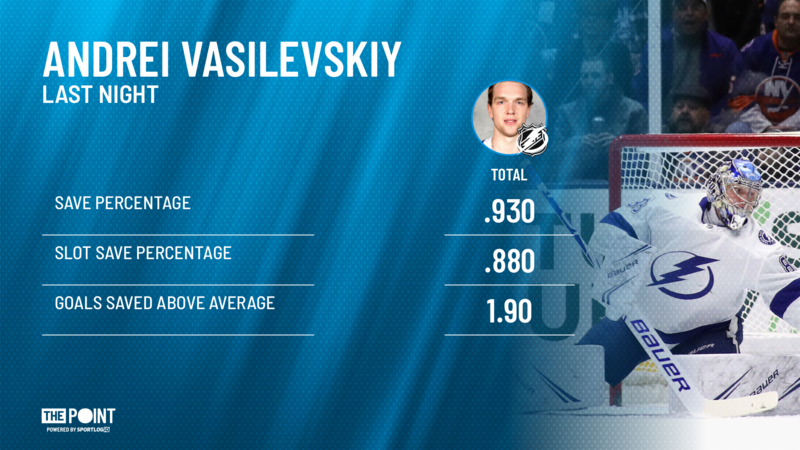 Luckily for Tampa, it has Andrei Vasilevskiy who in my opinion should win the Vezina Trophy. Last night, he proved once again why the Lightning can afford to give up a lot of high-quality chances, the 8th most per game this year. While setting a career high in saves, he finished with 1.9 goals saved above average meaning that compared to league-average goaltending he saved his team nearly two goals per game. In an overtime win, that means the difference between a win and a loss. Vasilevskiy’s been the top goalie all year in goals saved above average saving his team almost exactly one goal per game. It was a record-breaking night for both these teams and if we’re lucky enough that this was a preview of the Eastern Conference Finals, we’ll be in for quite the show.